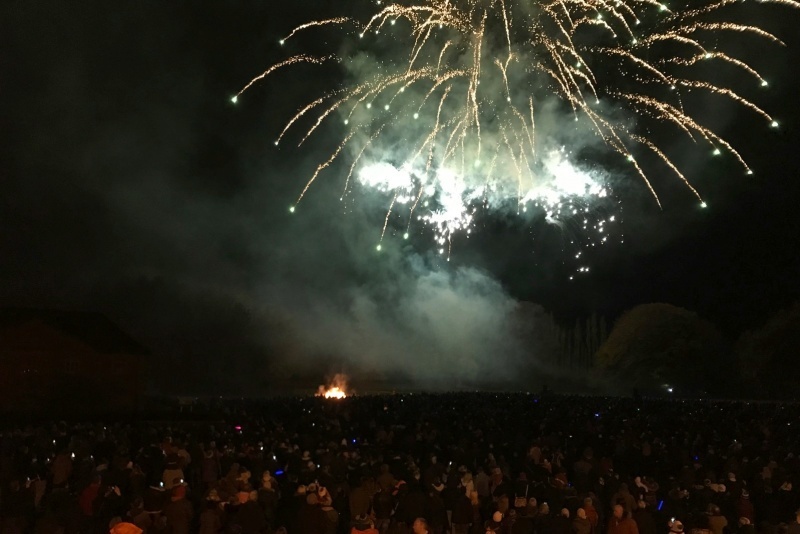 The Bedale Bonfire and Fireworks Display takes place every year on the Saturday before Guy Fawkes's Night, and is renowned as one of the finest displays in Yorkshire. 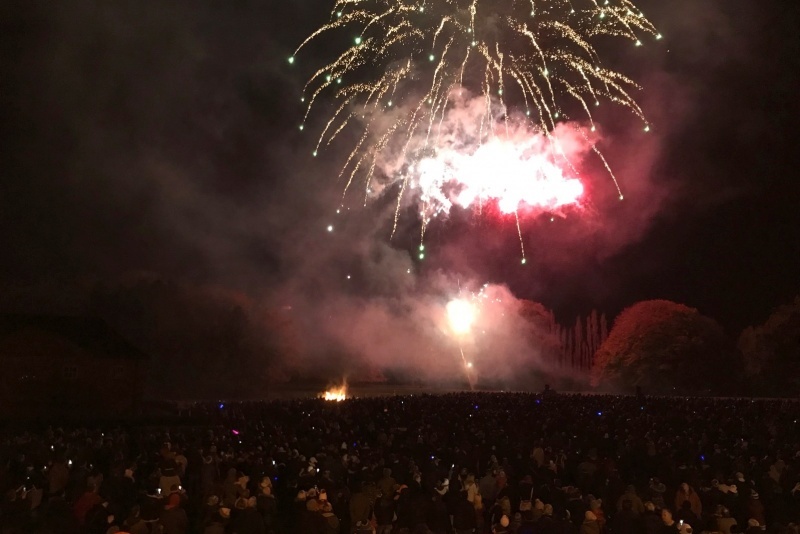 Located in historic Bedale Park with the imposing facade of Bedale Hall as a backdrop, residents and visitors are treated to a spectacular firework display and the warmth of the Bedale Bonfire. The display is often set to music, and young and old alike can enjoy adding their contribution to the event with novelty torches and lights which are available on the night. The display has always been free and open to all. On the night our volunteer stewards take up a bucket collection to pay for next year's display. If you enjoy the event then your generosity will help to secure the spectacle for another year. 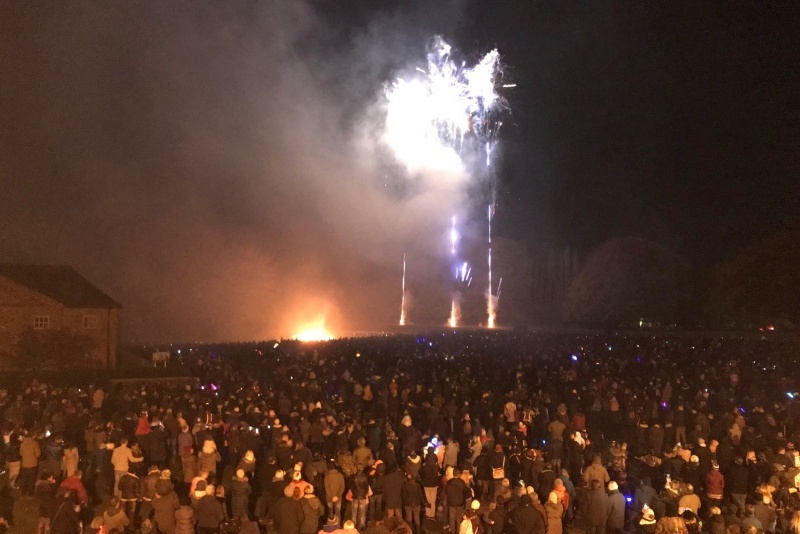 The 2019 Bedale Bonfire and Fireworks Display will be held on Saturday 2nd November. Gates open at 5.15pm and the event closes at 8.45pm.